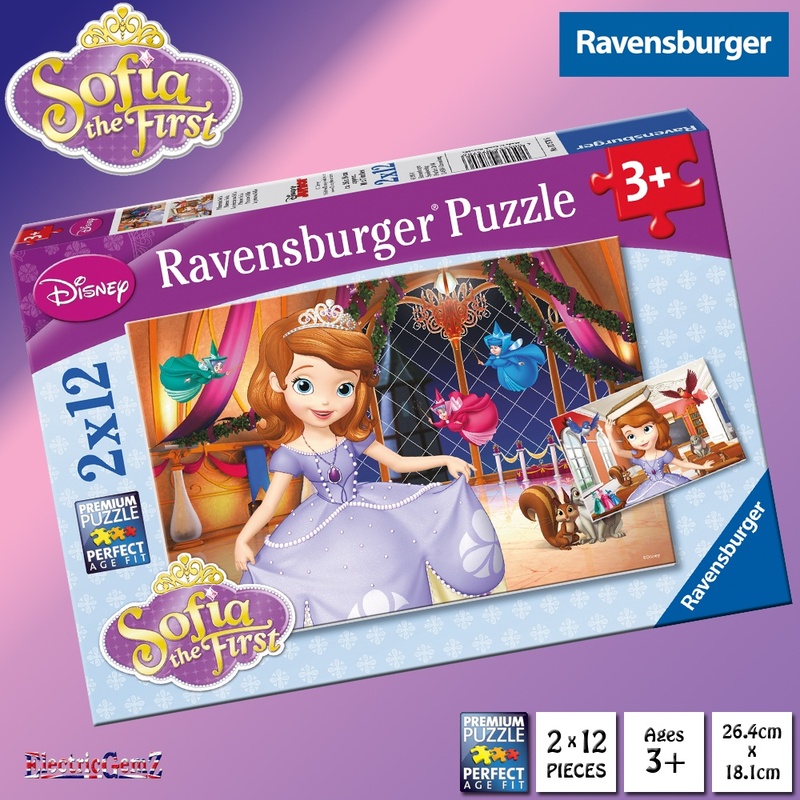 Ravensburger Sofia the First 2 x 12 piece Premium Jigsaw Puzzles - Join the youngest Disney Princess, Sofia the First as she discovers what it is like to be a Princess in these two beautifully illustrated jigsaw puzzles! 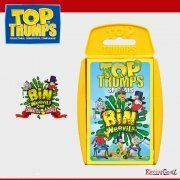 Suitable for ages 3+, both puzzles are printed with a different reverse side, so the puzzle pieces can easily be sorted before assembly. Join the youngest Disney Princess, Sofia the First as she discovers what it is like to be a Princess in these two beautifully illustrated jigsaw puzzles! 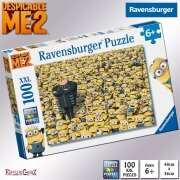 Suitable for ages 3+, both puzzles are printed with a different reverse side, so the puzzle pieces can easily be sorted before assembly. 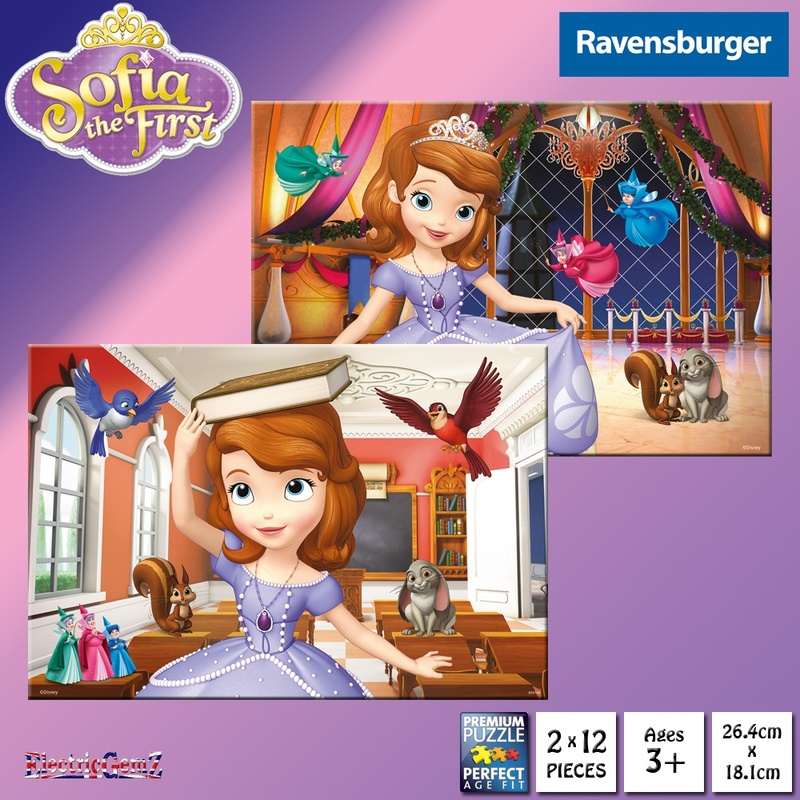 A must for all Sofia the First fans everywhere. Made from thick and strong recycled board, each Premium Perfect Age Fit puzzle is cut to 12 pieces and measures 26cm x 18cm when completed, and comes in a quality box that should last a lifetime. 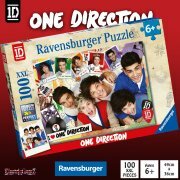 A full range of jigsaw puzzles is available from our Online Shop. Search for Jigsawor Sofia in the box above.